Anja Werner studied at the University of Leipzig, the Université de la Sorbonne Nouvelle—Paris III, and Harvard University. From 2006 until 2009 she was affiliated with Vanderbilt University, where she coordinated the international Alexander von Humboldt in English project, whose annotated, new English translation of the Political Essay on the Island of Cuba was published in 2011. Her latest projects include a multiauthor volume on Black intellectual history in global contexts and research on the Deaf Atlantic World at the Max Planck Institute for the History of Science in Berlin, Germany. This alphabetical list was taken from the register of the University of Leipzig, which is preserved at the Leipzig University Archives (LUA). It contains the names and registration information of American students between 1781 and 1914. 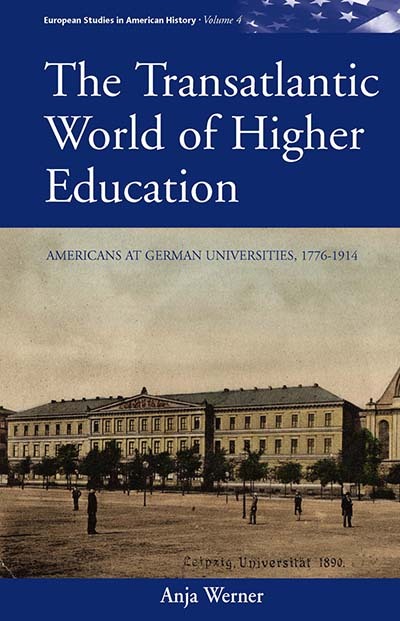 Included are hearers (those auditing a class) and visitors who were traced in secondary sources, foreigners who were traced as regular students, and women whose names were found in the Leipzig hearer list, in the folders on female students, and in secondary sources. Additional biographical information and references were added when available. Cross-references to the Halle register are pointed out. All in all, more than 1600 entries are listed. This chronological list was taken from the student and faculty directories as well as from the register of the University of Halle, which are preserved at the Halle University Archives (Archiv-Pfännerhöhe, Halle). Note that the register for the year 1807 is not available. Cross-reference to the Leipzig register are pointed out. All in all, more than 300 entries are listed, including two women. White Men vs. the Other?